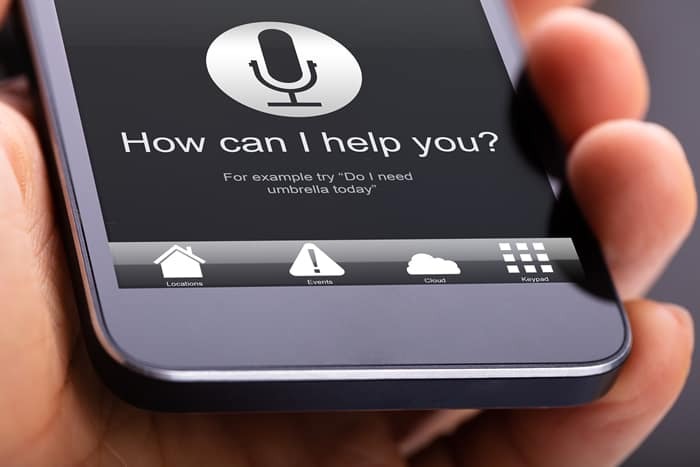 Home » Why do we need to optimize for voice search? How many times have you been too busy to type in a question on Google and used Voice search? Voice search is rapidly on the rise and it’s vital you position your website to come up on top for a relevant search. Did you know that you can get very different search results by using Voice or Typed searches? Well, you certainly can! So how can you get your website to rank well on Google for Voice queries as well as typed ones? 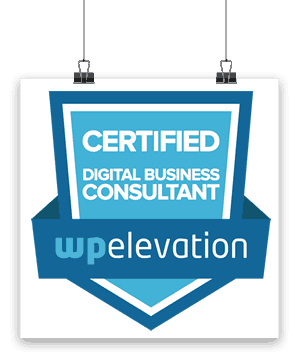 Below you’ll find six key steps to implement on your website this year. Google’s goal will always be to return the best results based on the person, location, and history. The latest Google algorithm update to Hummingbird is a huge push toward voice search optimization. To boil it way down – it’s all about how well your websites content answers questions people are searching for. You’ll find that many “experts” differ in their opinions about voice search optimization. However, most all of them agree that it’s an important part of the SEO (search engine optimization) process. The biggest worry about voice search? When people use voice search on mobile they will get only one top result. This one result is affectionately dubbed “position zero,” and everyone wants it. By 2020, half of searches will be done by voice. This means by 2020, half of your potential customers won’t see your website even if you’re fourth in the mobile SERP (search engine results page). Ranking number one, or securing position zero, will be the main goal for every business owner. Talk about tough competition. My last blog post was about featured snippets. To learn more about featured snippets read it here. People who search for “best coffee in Denver,” are looking to discover donuts near them. If you own a donut shop in Denver, then, you want to include your city when optimizing keywords. This is also true for states, neighborhoods, and even countries where your business has a presence. Say I decide to eat get some coffee. I’m more likely to say “OK Google, coffee cafe near me,” than “coffee cafe in Denver.” In this case, Google will use my location to understand which cafes are closest to where I am at the moment. To appear in the relevant results for such queries, though, you don’t add the actual phrase “near me” to your content, of course. Rather, most search robots use Business Listings information. To optimize for Business Listings information, you would need to do that on your Google My Business page. And if you don’t have one – DO THAT NOW. On your GMB page make sure you’ve added all the necessary information, such as brand name, address, opening hours, etc. When people search for your information you have on your website, are they looking to buy something or are they looking for information? Now because of the Hummingbird update Google digs into the context of the search query. They investigate sites’ content and provide you with whatever answer is deemed most relevant. For example, I may search for “super bowl ads.” In the most likely scenario, I’m interested in the most recent super bowl — not in results from 5 years ago. Google understands this and accounts for that. Therefore, you should consider user intent when creating content, in order to enhance the relevance of your pages to specific search queries. If you want to optimize your page for a featured snippet, your main aim should be understanding user intent and giving your audience an immediate answer. Work to answer questions you think your audience is seeking answers to. And provide as much detail wherever possible. When we’re asking a question to Alexa, Siri or whatever AI, we act as though we’re talking to a person. Most of us won’t use short, choppy keywords. We’ll ask questions and use long phrases, like we’re talking to “someone”. So it’s best if you write your content in such a way as to answer those questions in person. Essentially, these will be long-tail keywords but written the way we speak. And using long tail keywords is good practice not only for voice search but also for traditional SEO. You’ll find that key phrases containing more than two words face less competition and provide higher chances to rank at the top for. To find out what questions your target audience may ask (and not spend too much time doing it), you can use tools such as Answer the Public or Serpstat Search Questions. Like I said earlier, it’s all about answering visitor questions that you can offer answers to on your website. Use a conversational tone for phrasing these questions, to rank well for voice queries. When you choose the questions you’re writing about in your post, add them to the pages around your site. Be sure to keep your content updated regularly so as not lose your position in featured snippets. Page speed means how long it takes your web page to load. This also influences whether or not your page will appear in voice search results. Try this. Visualize someone doing a voice search. Most likely they are in a hurry – right? So you’re site needs to come up fast on mobile devices. You’ll want to analyze your current website speed with GTMetrix.com. Note, this is per page, not your entire site. This tool tells you whether your site’s current loading time is fast enough, and suggestions for how to make it even faster. There are other tools such as Google’s PageSpeed Insights and Pingdom. Now this gets a bit more complicated, but I wanted to tell you a bit about it too. Structured data is code added to HTML markup and used by search engines to better understand your site’s content. Using structured data, you can help search engines crawl and read your content efficiently. With schema markup, you can better control the way you provide information about your brand, and the way machines interpret it. Implementing structured data results in rich snippets which are known to increase click-through rate, drive traffic, and bring you competitive advantages. Having this data can also help your pages appear in featured snippets and, consequently, in voice search results. Specifically, you can use structured data markup to provide better information to mobile devices about your website and its content. Voice search is here now and used in a big way. You can be it’s only going to grow in popularity dramatically in the near future. It’s not going away, it will take over. Follow these steps to get your site to position ZERO.